According to the EPA indoor air pollution is one of the main environmental hazards to public health. Not only can indoor air quality levels be surprisingly contaminated, but if you have an asthma or allergy sufferer in your home it can be especially important to find a way to improve the air quality levels. SYSTEM UPGRADES: Most of our air quality solutions are available as upgrades to existing home heating systems or cooling systems, or of course can be installed in conjunction with the latest energy efficient systems. UV GERMICIDAL AIR QUALITY CONTROL: Ultra violet control is a very effective way of reducing and controlling airborne disease or living contaminants such as germs and mold. These are the systems used in public hospital ventilation systems. 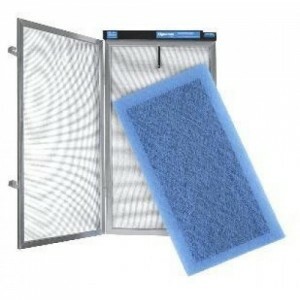 HEPA AIR FILTERS AND CLEANERS: High efficiency particulate filters are often used in conjunction with UV germicidal control, and can filter 99.7% of airborne particles down to a level of 1.8 microns. They are especially helpful for people with breathing disorders or allergies. Call us today at 303-975-6090 to find out more! 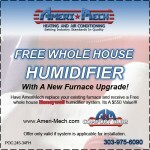 Check out the other air quality products available through Ameri-mech.